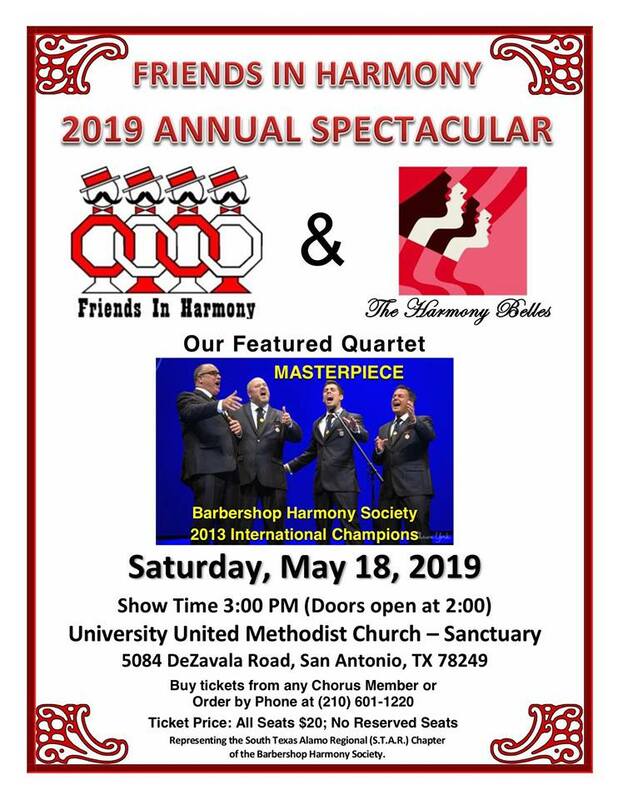 for our 4th Annual Spectacular Show! 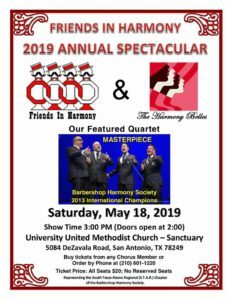 Featuring Friends in Harmony Chorus and debuting The Harmony Belles Womens Chorus! Got email? Want occasional news from this site?